The Jonas Brothers are reportedly breaking up. 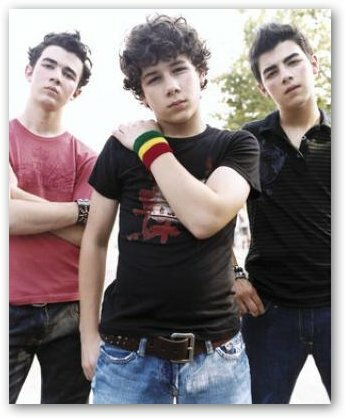 Eldest brother Kevin Jonas is said to want to migrate to more mature music and at work on a solo album. He apparently "wants adult fans, and he wants to sing adult music. He loves his brothers but he definitely wants his solo career and won't be part of the group forever." The news of a Jonas Brothers split, of course, comes just as they have been nominated for the Best New Artist category for the Grammys. However, dousing the rumors, a Jonas Brothers representative says that a break up is "not true at all."